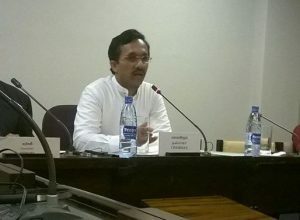 JVP Parliamentarian and the President of the Committee On Public Enterprises (COPE) Sunil Handunneththi is to meet Speaker Karu Jayasuriya to discuss regarding opening COPE sessions to the media. Subsequently, a process would be adapted to allow the media to cover COPE sessions said Mr Handunneththi. He said standing orders would have to be amended to allow media to cover COPE sessions. He said the necessary measures would be taken to expedite the process and pointed out the journalists covering the COPE sessions too would have to be given special training.